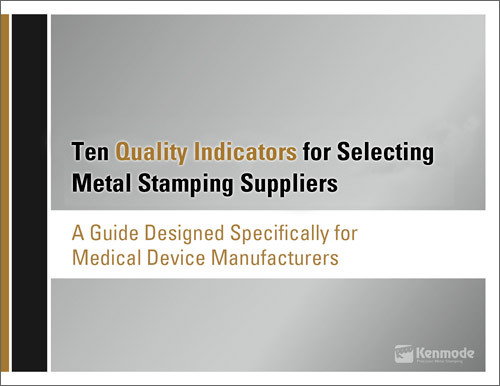 This is the third in Kenmode's blog article series entitled "10 Metal Stamping Quality Indicators for Medical Device Manufacturers" to help medical device manufacturers evaluate the level of quality in their metal stamping suppliers. The series will consist of 10 articles, published weekly. Each article will focus on a single quality indicator. The best metal stamping firms do not farm out critical expertise such as engineering, design and tool build. 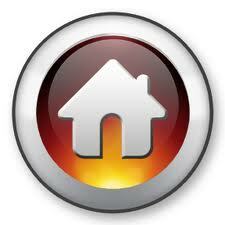 Instead, they maintain high-level capabilities in-house. This depth of expertise allows a metal stamping firm to be a truly collaborative partner in component design and manufacturing for quality and reliability. The metal stamper’s engineering and tool and die experts should be able to demonstrate that they have improved the design of parts for greater utility and reliability and lower production costs. Ask for examples of their work and talk to their client references. 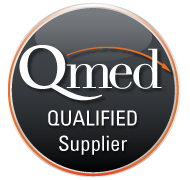 Their ability to achieve high quality in industries other than medical devices demonstrates their familiarity with best practices across a range of manufacturing settings. For manufacturers, it pays to involve metal stampers earlier in the design process to ensure that the component part is designed for efficiency, durability, reliability, and manufacturability. CPPD ensures the product design not only meets your expectations and specifications, but also incorporates expert input from the metal stamper’s engineering, tool and design team. They should be able to recommend the best way to design a part to reduce the risk of failure, increase productivity, and contain costs. The DFM process ensures that the metal stamping is designed for ease of manufacture. Although a component metal stamping may seem like a small item in the overall product design, it can make a big difference. As part of DFM, the metal stamper should spend a significant amount of time ensuring that the part will meet quality standards, which will save time and expense later during development and production.